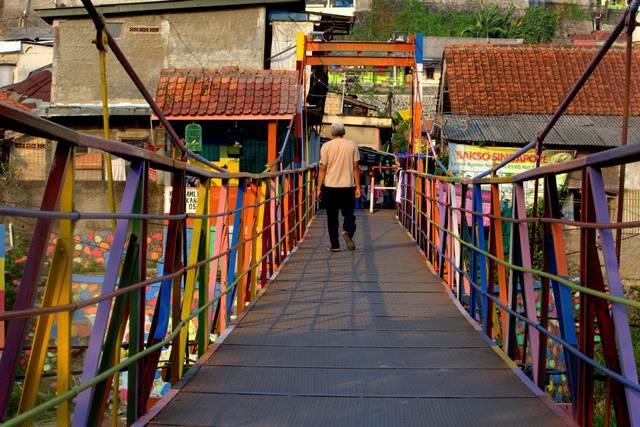 It is just a common suspension bridge daily connecting two areas, the square of Bogor, Sempur and a riverside settlement in Lebak Kantin. Its age is also not yet enough to be considered as a heritage of the city. It still needs 10-20 years more to be included into the category. There is nothing special about the bridge with length approximately 20-30 meters and with around 2 meters width. 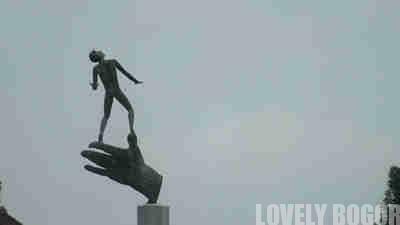 However, definitely, the bridge will catch eyes of people who come nearby. The reason is because it is so colorful. Cheerful. Quite different from other bridge that have either one or two monotone colors, like cream or brown, the suspension bridge is quite attractive. It has more than 5 colors painted on the body and every part of it. The colors used are also bright, like yellow, red, pink, bright green, blue, and some others. 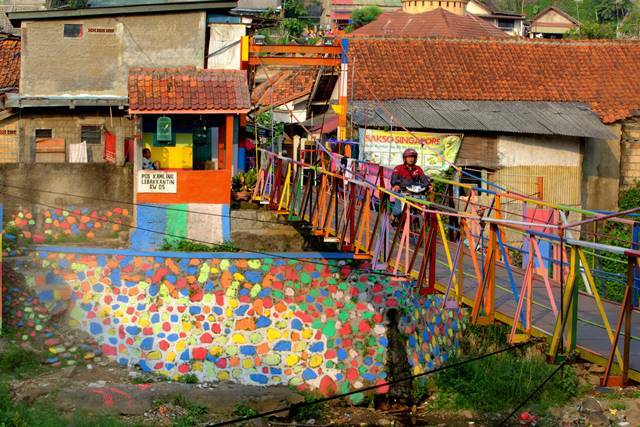 Definitely, a colorful and cheerful bridge. It’s not quite clear about the idea behind painting the bridge with such colors. 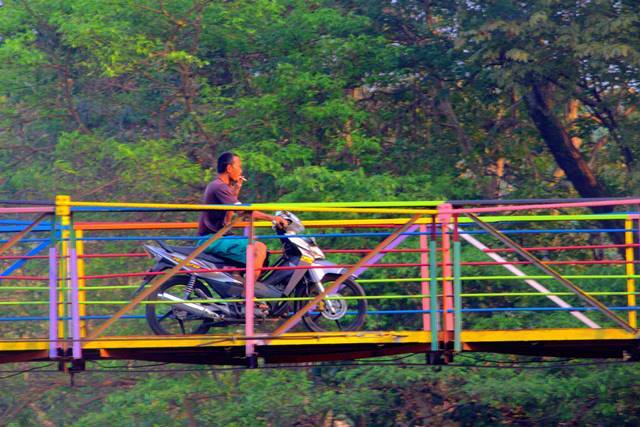 Perhaps, the government would like to add an image of cheerfulness or just simply because the bridge needed new colors. 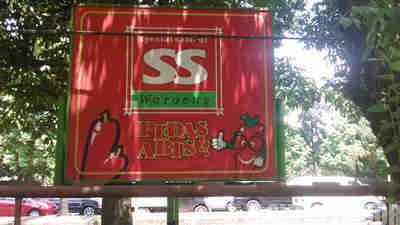 It can be also to copy similar idea from “colorful image” in Central Java. 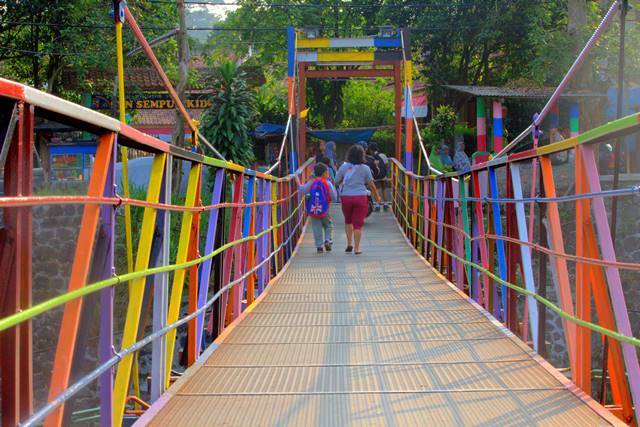 In any case, this colorful suspension bridge have given something different that can cause people to give at least a glance. Say It With Flowers Part #1 – So Colorful! Antri, sambil Ngopi? Cuma di Klinik Okky O2 Orthodontics nih!